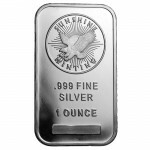 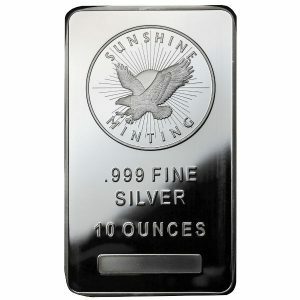 The obverse of this Silver bar bears the Sunshine Minting eagle with the sun and rays in the background. 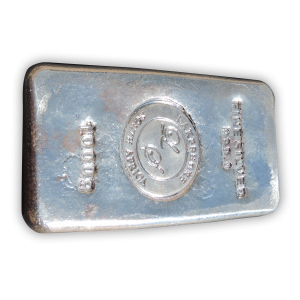 The weight and purity are also displayed. 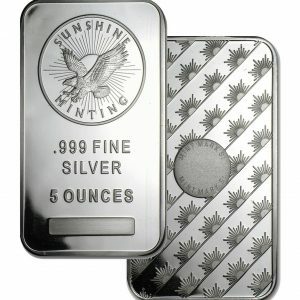 Each 1 oz Sunshine Minting Inc. Silver Bar has been crafted by the Sunshine Mint which is known for its expert design and craftsmanship. 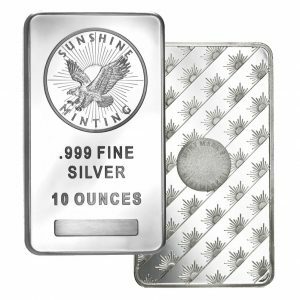 Sunshine Minting, as it is also called, is based in Idaho and has been minting its extraordinary precious metal offerings since 1979. 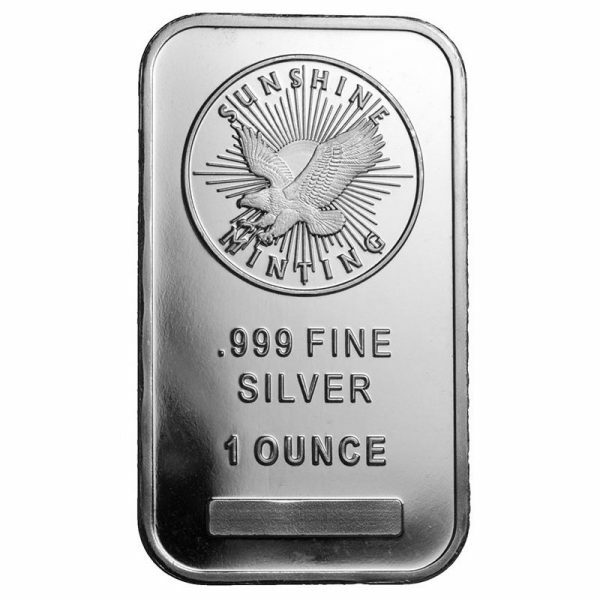 The 1 oz Sunshine Silver Bar features the ‘Silver Eagle’ design (not to be confused, of course, with Silver Eagle coins made by the U.S. Mint) that also incorporates the name of the mint. 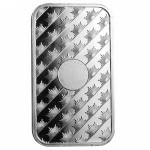 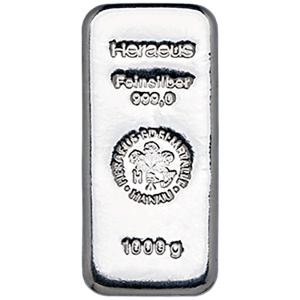 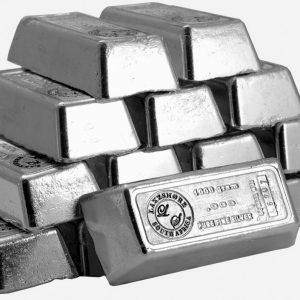 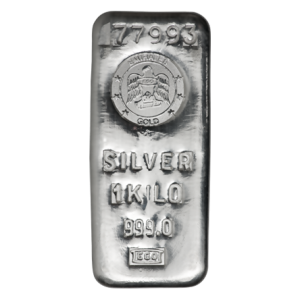 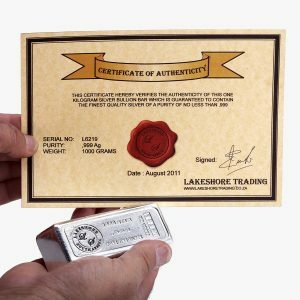 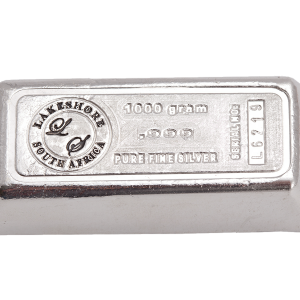 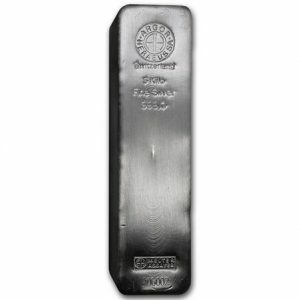 Additionally, each silver bar features stamps denoting its .999 fine silver purity along with its weight (one troy ounce). 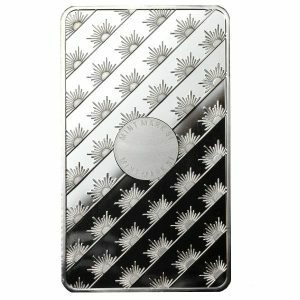 As is standard among 1 oz. 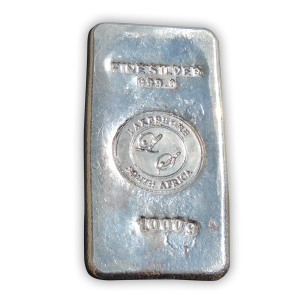 silver bullion bars, the sunshine bars come packed in sheets of twenty.